Menton Music Festival – A unique blend of Music to Sooth your soul! Menton Music Festival – A unique blend of Music to soothe your soul! France is home to some wondrous and unique festivals. Bastille day, Cannes Film Festival, Fete de la Musique, Festival d’Avignon, Menton Music Festival, Nice Carnival are a few famous festivals celebrated in France. Don’t Miss out on these festivals and get a France Visa from UK to visit Menton. Talking about unique Festivals, The Menton Lemon Festival is one of those unique ones, held in February end – Early March; it is a themed festival where artisans from all over the world show their creativity and talent. Originally started as a fruit show in 1933, the festival obtained its current format after undergoing a lot of changes over the years. The Menton Music Festival is equally famous and is going to be organized later this month. The Menton Music festival is enriching the lives of people for over 60 years now. It considered as one of Europe’s top Music festivals. Top international artists create magic when they perform in the Forecourt of the St. Michael’s Basilica. The location has become iconic for its closeness to the sea and the starry sky which creates a fine balance with the music played by world famous musicians and singers. Andre Borocz, created this festival when he was visiting a friend in 1949 and was awestruck by the enclosed area in front of the St. Michael Square. It was open to the Horizon, the sea and provided him with an exquisite experience when he listened to Bach from a radio placed in a home’s window. It made him mesmerized and this unique experience of his led him to create the Menton music festival to recreate and relive the moment for himself and others. 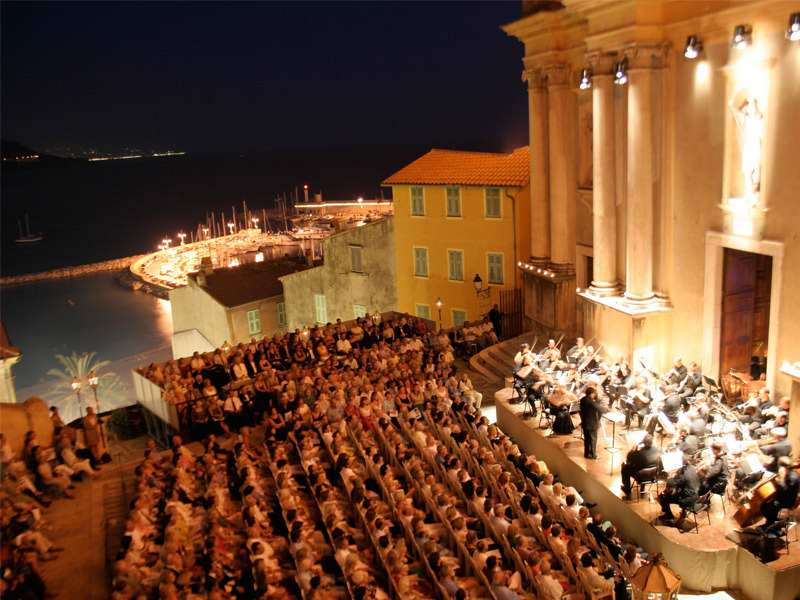 Get your online France visa to join the Menton Music Festival and enjoy the music. Many illustrious performers have created magic through their notes. Wilhelm Kempff, Robert Casadessus, Aldo Ciccolini, Long Marguerite, Jean Pierre Rampal, Jacques Thibaud, Issac Stern are a few of the renowned names. The Harmony and joy that the festival brings into the lives of the people has given a serene and calm happiness to the spectators. Music played at the Menton Music festival is able to bridge the gap of heaven and earth due to the closeness to the sea. The summer days add to the liveliness and warmth in the life of the people. This celebration of life touches the heart and soul of the listeners to create an atmosphere of love and serenity. If you feel that you are missing out on this experience then apply online for France Visa to visit the Menton Music Festival this year. Over the years this festival has diversified and spans for a Fortnight with performances being done in the Jean Cocteau Museum. Lesser known but talented artists are given a chance to perform at the Festival and showcase their talents to a wider audience. Exploring France for its Fashion, food and music will bring you closer to the French customs and traditions. It will give you insight about the history of the Country and how it evolved over the Years. Get the help of a France Visa Agent during the process of applying for a Visa to France without any hassles and problems.